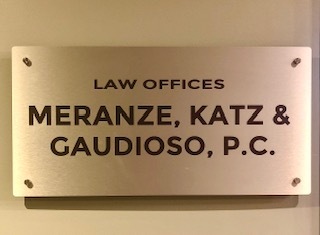 David has been a partner in the law firm of Meranze, Katz, Gaudioso & Newlin, P.C. since 2000 and a member of the firm since 1993. His practice focuses primarily on advising and representing a variety of private and public sector Unions and Taft-Hartley funds on all aspects of collective bargaining, arbitration and litigation. He frequently represents Unions and employee benefit funds before the National Labor Relations Board, the Pennsylvania Labor Relations Board, and various state and federal courts. His practice also includes representing individuals before the Equal Employment Opportunity Commission and the Pennsylvania Unemployment Compensation Board of Review as well as other employment related tribunals. He has lectured to labor organizations on issues including salting, collective bargaining and grievance procedures and has guest-lectured at Drexel University on Section 7 rights. He is a member of the Philadelphia and Pennsylvania Bar Associations. 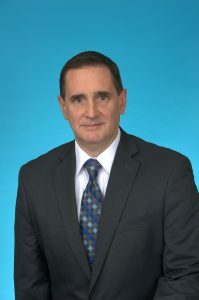 David received his Juris Doctorate from Villanova University School of Law in 1992 where he was also a published Editor of Student Work of the Villanova Environmental Law Journal. He earned his Bachelor of Science Degree in Economics and Industrial Relations from Saint Joseph’s University in 1988. He worked his way through St. Joe’s employed as a clerk for Pep Boys, a loader/unloader for United Parcel Service, and a container maker for the Julian B. Slevin Co. He currently volunteers as a youth coach for the Haverford Soccer Club. David is admitted to practice in the Supreme Courts of Pennsylvania and New Jersey, the U.S. District Court for the Eastern District of Pennsylvania, the U.S. District Court for the Middle District of Pennsylvania, the U.S. District Court for the District of New Jersey and the U.S. Court of Appeals for the Third Circuit.